The decision to transfer colleges is a difficult task for many, but for athletes it can make or break their careers. 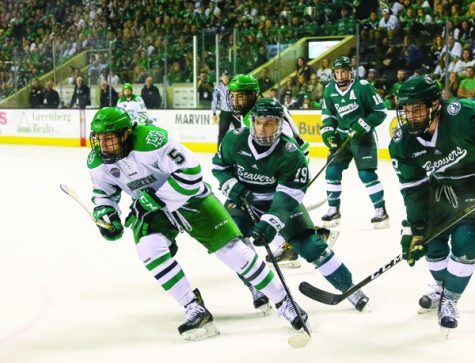 Both Fallyn Freije and Chris Wilkie transferred from North Dakota, but like many, it was for different reasons. Fallyn Freije played three years at UND for the women’s basketball team. Freije was a centerpiece for UND during her career. In Freije’s 90 games played at UND, she averaged 24.3 minutes, 9.3 points and 5.6 rebounds per game. While the numbers were there, the passion was not for her. This led to her decision to transfer late in here career. Transferring at any point in a college athletes career is difficult, especially when it is in the later stages of their career. For Freije it was well worth it. Freije had reached her breaking point and did not see a future here anymore. While Freije had her reasons to transfer from UND she loved all other aspects during her time here. As for possible solutions, Freije believes listening is key. “For our voices to be heard. I think for the people who have graduated, and the people who have quit or transferred. I think eventually we hoped somebody would finally listen to us and hear our side of it. Not just what gets put on display and what gets put on show in front of people,” Freije said. There are many different reasons why athletes seek to transfer schools during their career. In the case of Freije, it was more of a last resort decision. 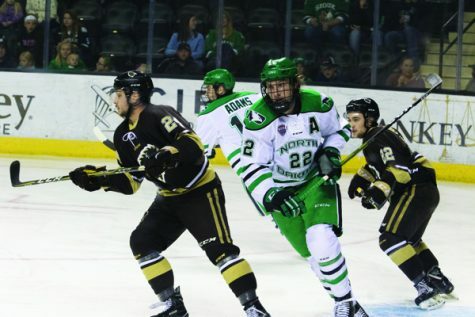 Chris Wilkie, who spent two seasons at UND with the hockey team, just wasn’t having the success he wanted. 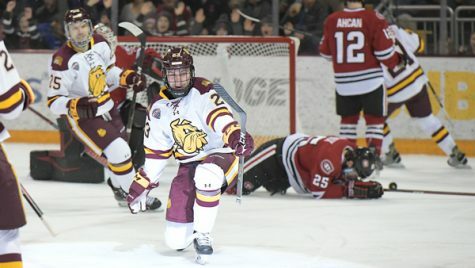 In his 62 games at UND, Wilkie boasted six goals and 13 assists for 19 points. Wilkie was drafted by the Florida Panthers in the 2015 NHL Entry Draft in the sixth round, pick number 162 overall. 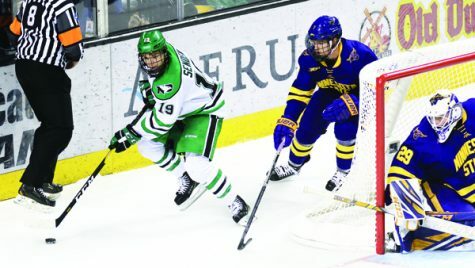 Wilkie showed promise coming into UND, but things just did not mesh or click here. A fresh start was needed. Wilkie had a different path than Freije. Wilkie had to redshirt this past season, just being able to watch from the press box each game. This can be hard on a player, but Wilkie put his head down and saw the silver lining. 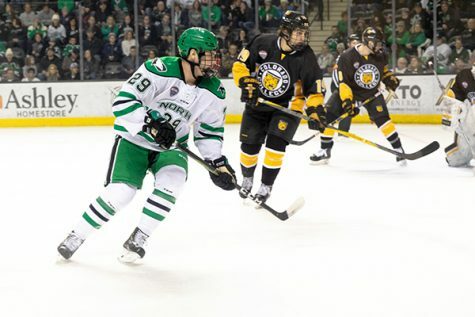 Wilkie had the opportunity to play his former team at the Ralph Engelstad Arena just a few weekends ago. Wilkie scored a couple points in the series and got to go against some of his best friends. “It was fun. A little different being on the other side of it, but it was nice to be back at the Ralph again. It was something I had circled on my calendar for a while,” Wilkie said. 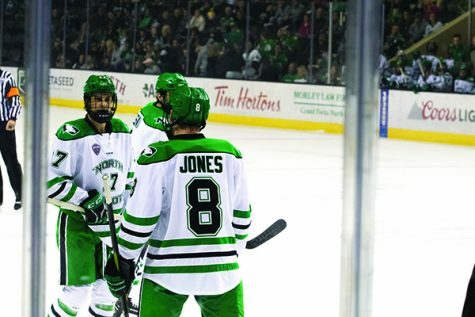 Wilkie, just like Freije, loved all other aspects of his time at UND. He developed relationships that will be with him for years to come. “I made a lot of friends there that I stay in touch with all the time. Not only teammates, but other students as well. The guys that came in with me in my class are some of my closest friends. 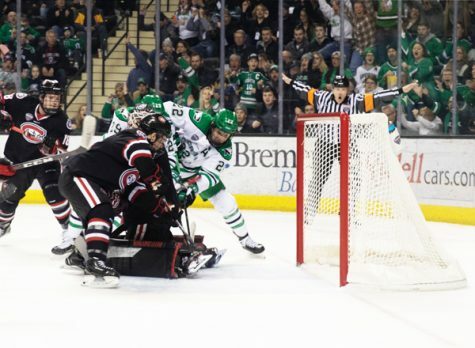 Away from the rink, and everything like that, I loved my two years at North Dakota,” Wilkie said. Both Wilkie and Freije have no regrets about transferring colleges and love their new schools. Both have had great success already since transferring. Although transferring can be one of the toughest decisions a collegiate athlete can make, sometimes it really is for the best.